October was a big drop from September's record setting month but that was completely expected. I did set a personal best for dividend payments in the first month of a quarter though. These dividend updates reflect all dividends that I receive through my investing pursuits and I hope can help inspire you to take control of your own finances and invest to build a passive income stream. What you use that stream for is up to you, whether it's to fund early retirement, just provide some FI/FU money, or even to provide for an annual vacation; the key is that it can provide options and opens up all sorts of possibilities. You can check my dividend income or progress page to see what dedication to an investment plan can give you. I was able to set a personal best in dividends received during March which is great motivation and helps to keep me on track. I received a total of $232.72 in dividends in my FI portfolio in October and have received a total of $3,448.35 YTD. I'm now 76.65% of the way towards my goal of $4,500 in dividends received for the year so I'm a bit behind pace but the good news is that my expected dividend payouts should bring me just over the $4,500 mark before any other investments. I also received $0.96 total from 2 companies in my new Loyal3 portfolio. It's not much but it's better than nothing. The dividends in my Roth IRA give a purer view of dividend growth investing at work since I haven't been able to make additional contributions. For my Roth IRA in October I received $20.90 and have received a total of $185.37 so far this year. That's about $15 ahead of October 2013's total so it's pretty good to see growth, albeit slow. For my FI Portfolio, October's dividend saw 11.46% growth from July and 81.60% growth from year over year. I didn't make any new purchases in my FI Portfolio during October although it wasn't for not wanting to. I'm trying to hoard a bit more cash because I'm not exactly sure what the next 6 months or so will bring. And of course by the time I did scrape together some capital and get it moved to my brokerage account the markets had rallied from the sell off in the first half of the month. I did continue to make purchases in my Loyal3 portfolio though to slowly build up positions and invested a total of $1,025 throughout the month, $25 at a time! My FI Portfolio's forward 12-month dividends are up to $5,220.78 thanks to increases from 4 of my holdings and adding in the $33.81 that my Loyal3 Portfolio is at brings my forward dividends up to $5,254.59. As I mentioned in my 3rd Quarter Goals Update I had surpassed my original goal of $5,000 in forward dividends earlier this year and I'm now 95.54% of the way to my revised goal of $5,500. I'm not sure if I'll get to my new goal or not since it'll depend on how quickly I can build up my savings and then start investing again. But there's a chance to get to it. My Roth IRA's forward 12-month dividends are at $252.07. Below is the chart showing the monthly dividend totals for each year that I've been investing as well as the monthly average. It's not always an increase as some companies have weird payout schedules and eventually some positions will get dropped, but the long-term trend is what matters. It's great to see that my 2014 average through October is at $344.84 and well above 2013's monthly average of $212.23. The last 3 month average is even better at $415.58. With more contributions/investments and expected dividend increases the gap should continue to widen. How did your dividends do in October? Are you on target to reach any of your dividends goals for 2014? Congrats on a solid month. The monthly average dividend chart in particular. Thats exactly what you want to see... solid increases. It's great to see the consistent increases and even better when looking back at the same month for the past few years. I can't wait until it gets around the $1k mark. Congrats on the steady progress, JC. Keep it up! Steady progress is the only real way if you're using DGI. But I'm more than happy to do so because what's not to like about getting paid to own a portion of a company? Purchase or no purchase, picking up over $250 of dividends across all of your accounts in a "slow" month is tremendous. That will pay for a few bills! Keep on cranking and more buying opportunities will be available for all of us! There's no complaints about the dividends that's for sure. Especially since it was 10% growth from July of this year. Not bad for just a 3 month passing of time. I'd love to see another opportunity like we had in October to make some more buys but who knows when it will come. That's some nice cash flow you've got going on there. I see you have some ARCP. Given what's going on with them, what's your game plan? Pretty good for a slower dividend paying month. I'm looking forward to what November and December have in store. Regarding ARCP, I'm going to hold and look for more information. While the actual accounting irregularity wasn't that big of a deal, ~$0.05 in AFFO, the fact that it happened is what's really bad. I kept ARCP as a lower position because I knew it was a more speculative holding given the rapid amount of growth they undertook. I think there's still room for the business to survive as long as there aren't any more mishaps that show up because they still own the real estate that generates the cash flow for the company. I'm not as happy of a shareholder now and will definitely be paying closer attention to them to see what else comes up but I'll hold for now. A great month of dividend income, especially on what amounts to an "off" month. Good stuff! I had a pretty solid October. No complaints at all. I'm hoping to release the numbers pretty soon here. I was pretty happy to see a 10% increase compared to July. Not stellar numbers but not bad for just 3 months. I should close out the end of the year pretty strong with dividends so I'm looking forward to that. And it looks like I'll pass my dividends received goal too. Looking forward to your dividend release. It's always motivating! Consistent and solid as usual. I've noticed that Loyal3 is gaining in popularity with many dividend investors. I really like Sharebuilder, but I may have to check it out. I thought about doing Sharebuilder as well because that's a pretty nice set up but Loyal3 was a bit better for me for the smaller purchases to DCA into positions. They have enough solid DG companies to keep me happy. Congrats on reaching $230 income on a quiet month and it looks your Loyal3 account is working out too! It was a solid month for the start of the quarter and my best yet actually. I've been doing most of my purchasing through Loyal3 recently because I haven't had as much time to devote to the markets and I'm wanting to hold onto a bit more cash, but still want to invest some. I think the revised forward dividend goal will probably be a stretch for me to hit and will really depend on how the next month or two plays out. But I should reach my dividends received goal so there will still be some celebrating! Forget callback within 24 hrs, my new building manager call the tenants back within 2hrs maximum. I had a toilet leak once and I swear within matter of 15mins plumber was at my door. Interesting -- our forward dividends are just about the same... good luck on reaching your new $5,500 goal! Yeah your yield is much higher than mine. I've been thinking of adding a few higher yielders, mainly REIT/MLP and T/VZ to juice the current income a bit but I don't want to sacrifice future growth. Any thoughts on some higher yielders that should grow at least 5% per year? Thanks for sharing your October results with us. Nice income between your two accounts and it does look like you'll be able to hit your 2014 income goals. I'm happy so far in 2014 as I have surpassed my 2013 annual dividends and still have two months to go before this year is over. Slowly but surely. As always happy to read your updates. Look forward to the next. Yeah I just ran the numbers and I should pass my dividends received goal for the year barring any unforeseen dividend cuts. So that's pretty cool. Looks like my projections were pretty spot on. Who knows if I'll be that close again next year. It's always pretty cool to see when you pass your previous years dividends and since you still have 2 more months to go you're going to set a nice benchmark for next year. Although that mark will surely get beat as well! Ahhh another happy ARCP shareholder. I own 200 shares myself... let's hope this mess is almost over and that it wasn't just the tip of the iceberg! I'll keep my shares too but will closely monitor what's going to happen in the following weeks and months. I'm not sure I want to stay a shareholder of this company anymore. You had a great month anyway. I missed most of the october dip too. I only had a 1000$ to invest and was at least able to grab 9 Exxon shares at a good price. Thanks for sharing your progresses, it's inspiring! Definitely a bit of a surprise to see but I think the original accounting issue was probably due to growing pains from all of the acquisitions they had made. Still no excuse to try and cover it up. If that's the only issue then I'll continue to own them but they are getting watched like a hawk now. Wish I had bought some XOM at the 3% yield level. That's typically a really good price point for their shares. Looking good, PIP. I FRIPed a share of BAX today and wouldn't mind adding more. I've noticed quite a few DGI folk with Medtronic in their portfolio. I'm going to have to add it to my watch list and take a closer look. I really wish more brokerages would bring on the FRIP. Although Scottrade is probably the next place that I go to start a new account once I build up my Loyal3 portfolio a bit more. KO and PM were more taking advantage of opportunities when the valuation was pretty good. So I'm fine with stretching my weighting temporarily to buy at good prices. Same with KMI. 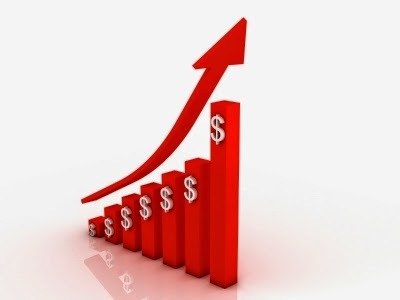 Your dividend income is showing great progress. Over $250 in dividend in a month is a great milestone to achieve.